Universal Studios Vacation Packages | Best Prices Guaranteed! To get the best deal on a Universal Studios vacation package you will get a much better price if you book your lodging and your Universal Studios tickets together. Our guest save an average of 12% more on their Universal Studios Orlando packages when they book the lodging and tickets together as compare to reserving everything a la carte. We are really excited about our Universal Studios vacation custom package builder above. This tool allows you to follow a few simple steps and get an instant quote on what it is going to cost to take your family on a Universal Studios Orlando vacation. To use this tool enter your dates of travel above and how many adults and children are in your party. The first step is to choose your lodging, we have quite a few hotels near Universal Studios and/or vacation homes to choose from. Once you have chosen your lodging then the tool will walk you through selecting the tickets which is best for your party. Once you have selected the tickets, we will then be able to show you a break down of how much the vacation is going to cost. We guarantee to have the lowest prices on Universal Studios Orlando vacation packages. We guarantee the lowest prices on Orlando hotels, vacation homes, and Orlando theme park tickets. We have won The best of Orlando “Online Travel Agency and Booking Site” Award for the past 5 years. We offer the best and simplest cancellation policy in Orlando. View our reservation policy. After you reserve your tickets, your price won’t go up even if the Theme Parks raise their ticket prices after (usually raises twice a year). This can save you hundreds of dollars on your next vacation. We simply ask for a small $50 deposit to reserve your booking. Try our Universal Studios vacation packages! 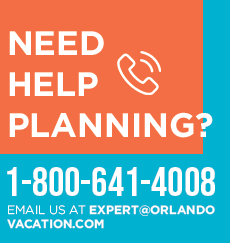 Our vacation experts have come together to help you save for your Orlando vacation. Check out our pre-made packages below! This Universal Studios Vacation Package is a savings of 22% as compared to booking directly through the theme park. Starting at $936 for 2 adults and 1 child. If you book this package you will save 28% as compared to booking directly with the theme park. This package starts at $916.00 for 2 adults and 1 child. These Universal Studios Theme Park Vacation Package prices might vary depending upon the hotel and the time of year you are traveling. The rates are based upon coming during low season and staying at either the Grand Hotel near Universal Studios or the Baymont Resort. The prices are based on 2 adults and 1 child and it does not include tax. If you are coming to Orlando during the summer, I would probably suggest selecting the Universal 3 park ticket so you can experience also the new Universal’s water park, Volcano Bay. Buying the Universal Studios Orlando Express Pass- If you are coming during high season I would recommend adding the Express Pass to your tickets, but I would not add them when ordering your Universal Studios Vacation Package. I would wait until you are here at the parks to add this option to your tickets. If you add the option after 4pm, the Express Pass is half price. Go see the attractions and shows in the morning then in the late afternoon get the Express Pass added to your Universal Studios vacation package tickets and experience all the rides.